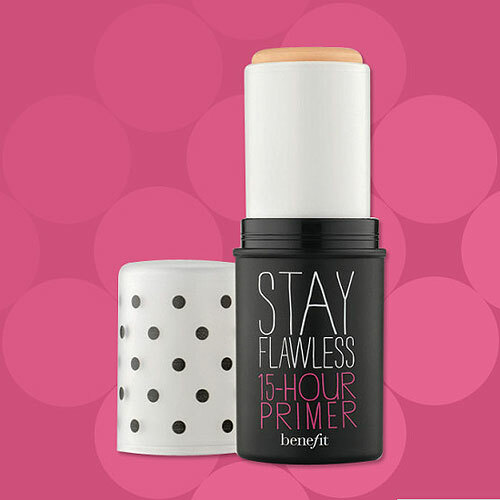 Benefit's 15-Hour Primer Makes Your Foundation Work Overtime! Benefit's Flawless foundation line has received rave reviews thus far, including its Oxygen Wow Foundation and Hello Flawless Powder Cover-Up, but one thing it was missing (until now) is an equally skin-perfecting foundation primer. And it looks like the latest addition to the Flawless collection was well worth the wait – the new Stay Flawless Primer boasts a whopping 15 hours of wear, so this isn't your typical last-all-afternoon type of foundation prepper! The unique stick primer glides on directly from the twist-up tube for easy on-the-go application – and although the product is only available in beige, it blends into any skin tone with ease without leaving any unsightly white film or residue.